Join scientists, engineers, clinicians and industry from around the world as we come together in Barcelona, Spain for the first joint meeting between the International Society for Therapeutic Ultrasound (ISTU) and the European Focused Ultrasound Charitable Society (EUFUS). Learn More. • Attend sessions covering topics ranging from Immunotherapy to Thermal Ablation, Modeling and Physics, and much more. • Exchange ideas, collaborate, and envision novel applications of therapeutic ultrasound. and specialty interest workshops, and student awards. • Participate in open discussions led by experts in the ﬁeld concentrating on the main areas of medical application and new developments of ultrasound therapy systems and applications. • Particular emphasis will be given to the clinical use reﬂected by EUFUS “organ panels“, face to face disputes, what can go wrong? Sessions and early attempts of consensus on FUS applications. The Scientific Committee is currently reviewing the late-breaking poster only abstracts that were submitted by the deadline of April 15, 2019. Notification of acceptance or rejection will be made in early-May. Don’t miss the latest developments and technologies. 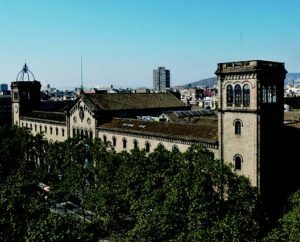 The Annual Symposium will be held at the very prestigious location of Barcelona University surrounded by the many highlights of Barcelona City. • Enjoy Barcelona’s culture including world-renowned art and marvelous architecture, and explore the beauty of the cosmopolitan capital of Spain’s Catalonia region right on the Mediterranean Sea. • Barcelona is located on the Mediterranean sea in the north of the Spanish coast. It certainly is the most cosmopolitan and economically most active city in the country. • Experience the very rich history of Barcelona, reflected by the numerous monuments of Romanesque, Gothic and Renaissance periods or even before, including the historic site of Barcelona University.